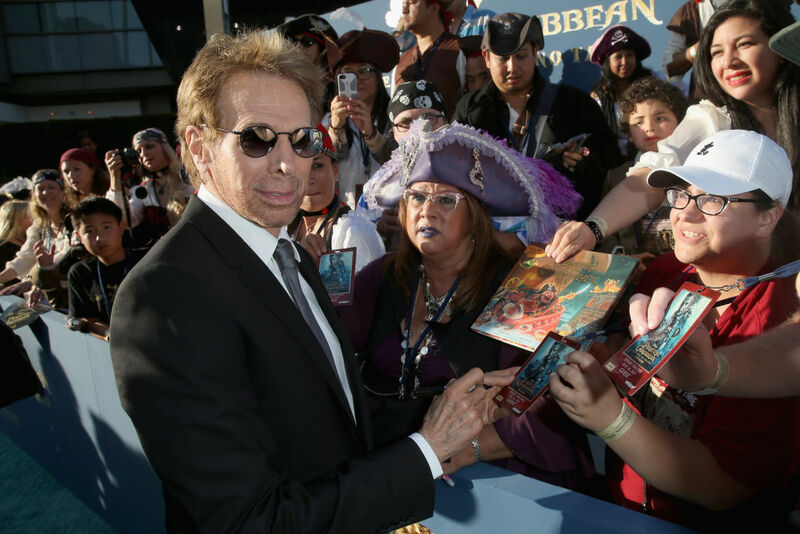 Jerry Bruckheimer has been working as a movie and television producer, going back to the early 70s, but it's taken until now for him to hit his latest career milestone. After building a brand name that has become synonymous with a certain kind of slick, commercial blockbuster entertainment, Bruckheimer has joined other movie producers like Steven Spielberg and George Lucas in becoming a billionaire. That brand name was established by way of Bruckheimer's involvement in 1980s classics like Top Gun and Beverly Hills Cop, as well as more recent franchises like Pirates of the Caribbean. He's also affiliated with a few television shows that are almost as popular, like CSI and its various spin-offs. And if you look at the man's highest grossing movies, the top five are all Pirates films, with the top, 2006's Pirates of the Caribbean: Dead Man's Chest, cresting the billion dollar worldwide gross margin. "Jerry is in a league all of his own. He's king of the action film and he's enjoyed similar success in television." "An important decision that Jerry made was to move into TV…The serious money is made in television and he's had a series of franchises that have gone for years." Bruckheimer has interests outside the film and television industry as well. He reportedly owns a farm in Kentucky, and along with fellow billionaire David Bonderman he's working to establish an NHL expansion team in Seattle. After paying the $650 million expansion fee, the new team is set to make its debut in the 2021-22 season.